Since 2000, Médecins Sans Frontières (MSF), has adapted its care to the changing needs of the people in Gaza, Palestine. Teams now offer post-operative care (dressings, physiotherapy and re-education) to almost 5,000 people suffering with burns or trauma injuries in three MSF clinics. The wounds and accounts of patients offer us a window into daily life in Gaza. First off, Gaza means confinement. A strip of land 42 kilometers long and 12.5 kilometers at its widest, it takes just an hour and a half to drive from north to south. Gaza is hemmed in by the sea to the west, a “security barrier”– a chain-link fence topped with barbed wire – to the east, while in the north a wall several meters high has been erected to prevent people from crossing the border. And yet another wall, this one underground, is under construction. This is home to close to two million people. Many of Gaza’s inhabitants have never been able to leave, particularly since a blockade was imposed by Israel after Hamas won the Palestinian legislative elections in 2007. “I’ve only ever left Gaza once. It was for an operation in Egypt when I was eight. 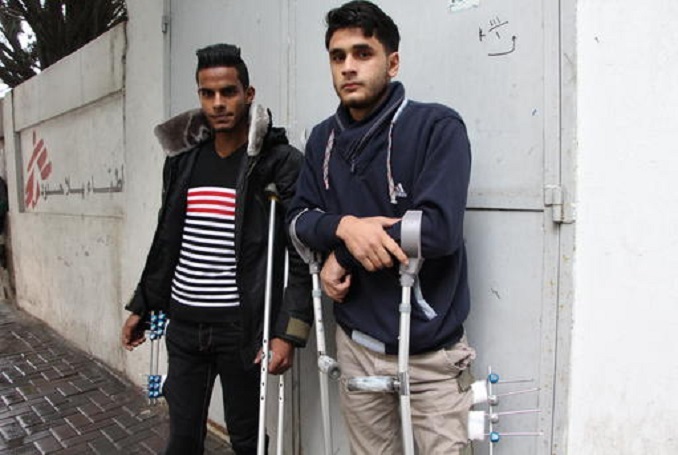 I don’t remember a thing!” says 22-year-old Hassan, who was shot on the border in December. Still today, the Israelis deliver exit permits extremely sparingly and, between 2016 and 2017, the number fell by 50 percent. According to OCHA, the United Nations Office for the Coordination of Humanitarian Affairs, an average of only 240 people a day were authorized to cross the border in one direction or another during the six first months of 2017 – for business or educational purposes, medical reasons, or because they are members of international organizations. For everyone else, the journey is quite simply impossible. “We don’t have the right to travel like other human beings. But we are human beings,” insists Hassan. MSF introduced a program of reconstructive surgery in 2010 to address the lack of care provision that has resulted from these travel restrictions. Surgeons and anaesthetists come from other countries to assist a Palestinian nursing team with performing complex surgery that’s not available in Gaza. 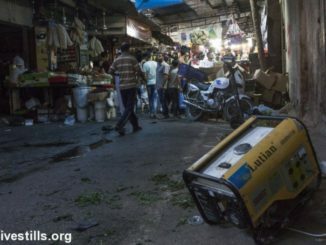 The problems with electricity are a perfect illustration of the everyday hardship faced by people in Gaza. 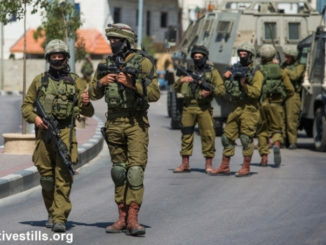 This deteriorated still further last spring because of an internal problem opposing the Palestinian Authority and Hamas. For several months, the Gazans were rationed to just two to three hours of electricity every 24 hours, and these were often during the hours of darkness. At the time, several patients told MSF’s teams that their wives would get up in the middle of the night to prepare food and use the washing machine. “My wife’s a superwoman!” a patient exclaimed one day. Abu Abed is medical advisor for MSF’s Gaza project. He told us his kids had to “make choices children shouldn’t have to make”. Such as, “Am I going to use these two hours of electricity to charge my cell phone? Watch a cartoon? Put some juice in the fridge?” Simply keeping food chilled became impossible in the summer when temperatures in Gaza easily exceed 30 degrees. The situation has improved somewhat, but people still have to keep their homes going with four to six hours of electricity a day at most. “During the hours when we have electricity, we try to do everything at once. So we rush, and that increases the risk to our children,” explains Ussaid’s grandmother. Fourteen-month-old Ussaid was admitted with burns to his hands. In MSF’s clinics, 35 percent of patients are under five years of age and 60 percent are under 15. Forced to live in isolation, they have to adapt and take what they can find. But, for years now, living conditions in Gaza have continued to slowly deteriorate. Although almost all the buildings that were flattened during the 2014 offensive have been rebuilt – principally due to international aid – but nearly half of the population is food insecure. People have to get by as best they can and family solidarity has become one of the cornerstones of their ability to adapt and resist. “When I don’t have enough money for food, I ask around,” says Abdel Raheem, a 30-year-old patient admitted to an MSF clinic in Gaza. Obtaining clean water is a major problem for Gaza’s inhabitants. Over 95 percent of the underground water table is unfit for human consumption and tap water is too salty. Private water companies are able to deliver but this is only a small part of the solution. The system of disposal and treatment of wastewater is also far from effective. Wastewater is piped into the sea, so people can no longer bathe in it. The sea, which could be a source of revenue for Gaza’s inhabitants, has it own artificially imposed limits: pollution and fishing restrictions enforced by the Israelis. Even so, life goes on in Gaza. Many families live in modest homes and meals are an opportunity to share convivial moments. Some people still cook and prepare tea on stoves or on fires on the ground. Many patients suffering from severe burns are referred to MSF clinics due to domestic accidents related to such practices. Two-thirds are caused by a boiling liquid. That’s what happened to 15-month-old Shahed three months ago. The entire contents of a teapot heating up on a fire fell on her during a family get-together. “It’s heart-breaking to see our daughter like that. We haven’t made tea since,” says her mother. In the case of six-and-a-half-year old Asma, it was a pan of boiling water her father wanted to wash himself with that fell on her. Burns caused by exploding electric generators, which some people use to compensate for the lack of electricity from the public grid, are also common, as are burns caused by direct contact with fire. The restrictions Israel has imposed on the movement of goods and people are impeding Gaza’s economy. For example, construction materials are blocked at the border, as is some medical equipment, as they are suspected of potentially being put to misuse. According to OCHA, in the third quarter of 2017, unemployment stands at 46.6 percent and youth unemployment at 64.9 percent. We’re educated, we’re not stupid. We accumulate diplomas but end up without work. We can’t have a decent life if we don’t work,” says Hassan, a 22-year-old fourth-year accounting student. Abdel Raheem, 30, was shot in the leg and hand while demonstrating on the border after the US president announced in December he was recognizing Jerusalem as the capital of Israel. He is now immobilized and is taken on a stretcher to the MSF clinic three times a week. He used to work in construction. “One month you’re in work and then for the next three there’s nothing,” he says. After fighting opposing supporters of Hamas and Fatah in 2007, three offensives launched by Israel in 2008-2009, 2012 and 2014, and 10 years of blockade, people are struggling to find their bearings and the young find it hard to believe in a future in the Gaza Strip. “I’ve worked as a fisherman and a painter, and in construction and restaurants,” says 22-year-old Mohamed M., who was shot in June 2017 on the Israeli border where he went to protest with a Palestinian flag in his hand. Mohammed Mubarak and Faris Alawawdah are both 22 years old. They were shot at the Israeli border in spring 2017 while they were protesting and have been treated at MSF clinic of Gaza city since for dressing, physiotherapy and occupational therapy. 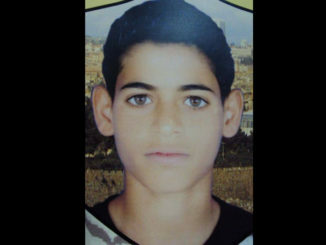 Faris, also 22, suffered the same fate as Mohamed. Since meeting at the MSF clinic, they have become inseparable. “Everything you earn here, you end up losing,” he adds. This view is widely shared by young men who, usually in their twenties, often go to the Israeli border to express their anger and feelings of injustice – at the risk of serious injury, or even their lives. Since December 2017, many young people have taken part in demonstrations organized by various authorities in Gaza to protest against the US president’s recognition of Jerusalem as the capital of Israel. MSF has seen a sharp increase in the number of wounded patients admitted to its clinics in Gaza­ – from 19 in November to 162 in December and almost 200 in January. Most have bullet wounds in their lower limbs. Mohammed H. says young people have grown up surrounded by this violence. The feeling that there is nothing to lose is omnipresent. “We have to remind ourselves that we exist. Who else will?” asks Abdel Raheem. “It’s the only way we have to show what we feel, what Gaza feels. What else can we do?” adds Mustafa. MSF has worked in Palestine since 1989.